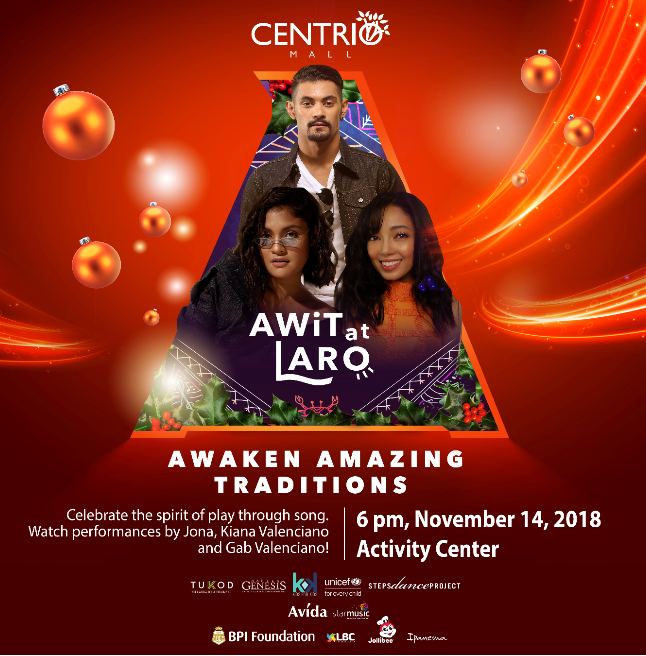 Centrio Ayala Mall presents - Awit at Laro: Awaken Amazing Traditions on November 14, 2018 at Centrio Activity Center. Enjoy Filipino-inspired activities and performances by your favorite Pinoy artists and get a chance to meet them. Celebrate the spirit of play through song with performances by Jona, Kiana Valenciano and Gab Valenciano.